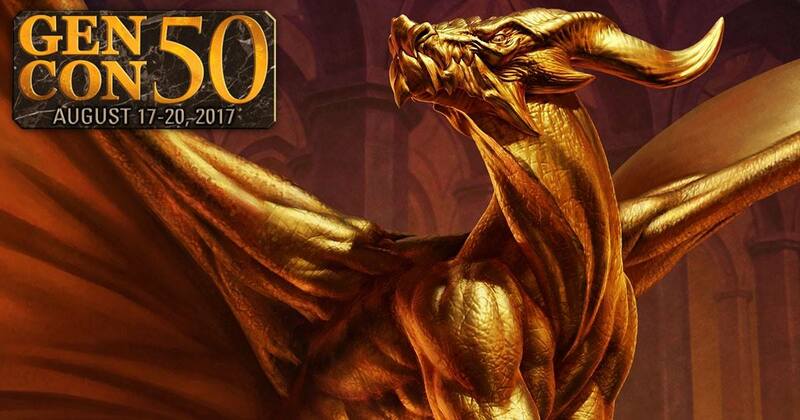 GenCon50 – the chance for the world’s largest gaming convention to redeem itself for me or decisively lose my interest. GenCon 2016. The largest gaming convention in the world. As a hobby gamer, going was my Mecca, my Holy Grail, my pilgrimage…and it had fallen completely flat. Hype can be a cruel mistress. And I had fallen afoul of some vindictive gaming deity. Last year had been my first GenCon. I marveled at the insanely large convention with a ton of activities. I tried time after time to join the activities…only to be politely informed that the event did not accept generic tickets. With a sorrowful and knowing smile, I was constantly waved off as a Sweet Summer Child who should have known better. My experience was largely one of being denied entrance to events. Well, the Exhibit Hall didn’t require event tickets. I should have been able to do something there, right? 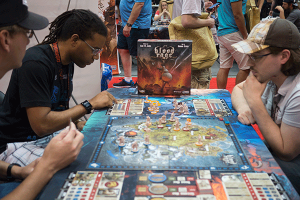 I rushed the Exhibit Hall Thursday to…not buy a copy of SeaFall, Rob Daviau’s standalone Legacy game. 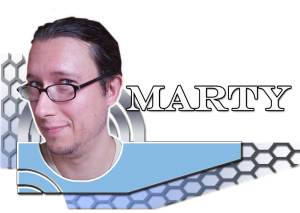 For the whole sad scenario see Marty’s recount of GenCon 2016. 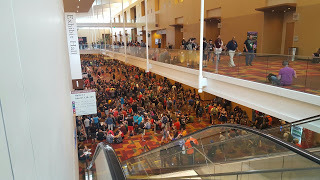 GenCon was a very expensive sight-seeing trip to a Convention Center in Indianapolis for me. The best part of GenCon 2016 was taking last place in the One Night Ultimate Werewolf tournament. Let that sink in. Last place. The designer let me have a free play mat for being so atrociously bad at the game. Yep. The Excel document in question, printed and passed out to my entire group. But this year was different! I had planned ahead. I had filled my schedule with a diverse selection of games and demos. 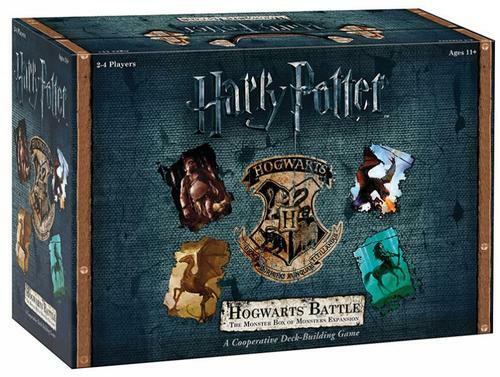 I researched releases with the fantastic tool on BoardGameGeek the week prior to leaving. I listened to pre-show podcasts and watched gaming company’s social media accounts. 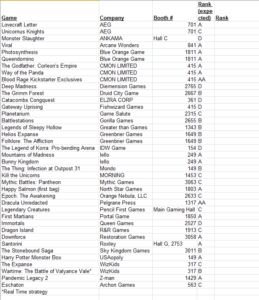 I made an Excel document with new game releases, booth numbers, and the likelihood of quality. This year was going to be awesome! I had done my homework. I had prepared. Almost every minute was scheduled. I would either have an amazing pre-planned GenCon or never go again. Things just had to go according to my plan. Because that’s how life works. You make a plan and everything happens that way. Right? I left work a few hours early Tuesday afternoon to pick up my compatriot Kevin from the bus stop. We acquired road snacks and finished last minute packing before an early bedtime. The next morning we were up early and collecting the last two members of our little crew by 6:45 – Will and Marty. We fit comfortably inside my Sentra, and drove for over nine hours to Indianapolis. We would learn our lesson on Sunday about the limits of space in a Sentra. But that was a problem for the future. As we drove we had plenty of time to talk about life, plans, and GenCon. The Great Argument of 2017 raised its ugly head yet again. We ventured into the territory of art in games. This lead to a discussion of the purpose of art generally. I admitted a complete lack of understanding on the topic. For background, I am a scientist working on my Ph.D. with a fairly utilitarian view of the universe. The people in the car spent a not-insignificant amount of time trying to explain the value of art. My friends were kind but ultimately unsuccessful. Every time I attempted to pin down a specific response based on their explanations, I was informed that my understanding was incorrect. In my defense, they all disagreed with each other. The only real use I personally see in a game for art is as a mechanism to allow faster memorization of different cards and effects if they are thematically related. My opinion was not popular. We pulled into Indianapolis around 4 pm local time, checked in to the Staybridge Inn hotel, met up with our last party member, Jason, and headed over to Will Call at the Indianapolis Convention Center. My first impression was that there was a much smaller line for Will Call this year. Maybe we just arrived at a better time, maybe with the event sold out more people had badges sent out to them. We were in and out in ten minutes. We had some time to kill, so we brought out some games. We started with BANG! The Dice Game out of Asmodee. This is the 2013 modification of the incredibly popular social deduction game BANG! In both games, players are assigned different roles in the Old West. 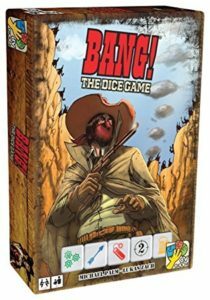 One person is the Sheriff and reveals that fact to all players. All other roles are hidden. Outlaws need to kill the Sheriff, Deputies and the Sheriff need to kill the Outlaws, and the Renegade needs to be the last-man-standing. Each player receives a character with a variable power. You roll dice Yahtzee-style to shoot other players, drink libations to heal wounds, or, if you roll too poorly you blow up from dynamite. There is also an arrow mechanic which kills people on a delayed trigger. And by people, I mean me. Multiple times. Regardless, the game has held up in my group and was an excellent warm up for several days of gaming. After a few rounds, we switched to another popular pick of my collection. 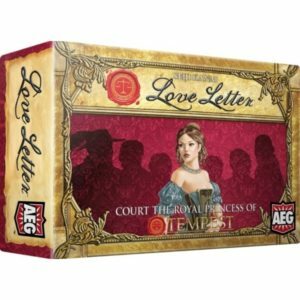 Love Letter is a 2012 light hand management/deduction game from AEG. You win by gaining the favor of the Princess. The cards in the small deck are various members of the Court helping you. They vary from lowly guards to the Princess. Most cards in the deck are unique with a special ability. On your turn, you draw a card and play a card. You win a round if you are the only player that has not been forced out of the round, or if you have the highest value card at the end of the round, gaining one favor. We played a few rounds until our stomachs collectively informed us to seek out food. We grabbed our hotel’s complementary Wednesday night dinner (the Staybridge is awesome) and went up to our room. Kevin introduced us to Voices in Jon’s Head, a strange role playing game that requires a d6 roll for Jon to take any action – be it walking, talking, punching, sleeping, etc. Any verb. And I mean any verb he attempts, you must roll a five or higher to succeed. All players are trying to have Jon reach a random goal they have written down before the game. We also wrote down two skills for Jon, like kicking or stealing. After an hour or so, Jon had a surprisingly high body count and arrest record. It was especially surprising as he often failed to walk forwards or open his mouth to talk but any characters that came near him inevitably left this mortal coil. After much silliness and laughter, we headed to bed, eager for the next morning. 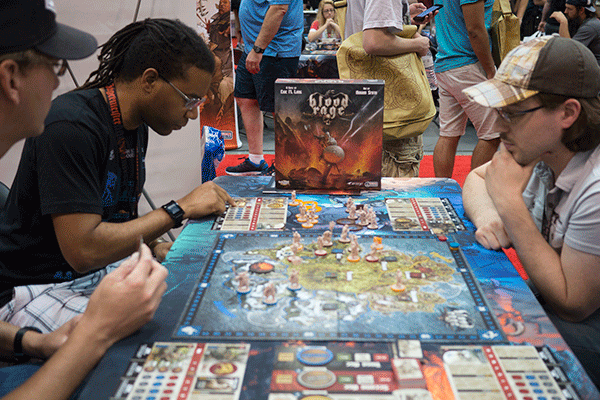 Marty made one promise after GenCon 2016 – he swore he would not sign up for any RPGs. At most one. Maybe two. Marty passionately promised to abandon his search of a good RPG after suffering so many disappointments last year. This year, he had signed up not for one, or two, but five RPGs to scratch his RPG itch. Because he hates himself? I would never tempt fate like that. He should have known better. Jason had become part of the Dungeon Crawl Classics community online over the last year and was excited to meet them in person. Will was competing in his first large Star Wars Armada tournament, anxious to see how he would measure up to unknown players. He was a first time attendee, convinced to attend by me to reduce costs because he has slowly been making his way into hobby gaming. The other first time attendee was Kevin. He was looking for business contacts and games to play with his family. I definitely had the most specific and concrete goals. Did you think I was kidding about the utilitarianism? The first was acquiring the Blood Rage Kickstarter exclusives, as it has become my #1 game, unseating long-time champion Battlestar Galactica over the course of the last year. The exclusives were expensive online and only sold individually. Four monsters – the Mystic Troll, Fenrir, Mountain Giant, and the Wolfman. The fifth player alternate sculpts. And the promo god Hilli. Yes, I memorized everything I did not have and the Amazon price. I was definitely not obsessed, except for I seriously was.The rumor going into GenCon was that they would be sold at the CMON booth. How hard could it be to buy them? Good thing that I had no backup plan if that one didn’t work. Nothing could go wrong there. 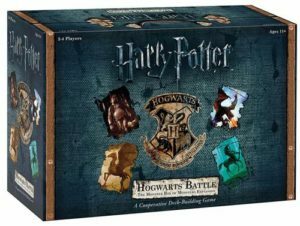 My second goal was acquiring USAopoly’s expansion to Harry Potter: Hogwarts Battle – The Monster Box of Monsters for my Potter-loving fiancée. However, my experience with SeaFall last year had left a sour taste in my mouth for rushing the Exhibit Hall for new games. I promised I would try with absolutely no hope of succeeding, much as I feel any time someone asks me to go for a run, or play a sport, or write an article for a website after a year-long absence. Anyways. I could not have predicted the twists and turns of fate, bitter defeats, petty defeats, precious victories, petty defeats, and the confluence of events that would become GenCon 2017. We drove to GenCon, I failed to find an inherent value in art, and we readied ourselves for the largest gaming convention in history.